Is your VPN 100% secure? internet Is your VPN 100% secure? If I were to ask you this question right now, could you answer “yes” with complete confidence? Because, if you did, there’s a big chance that you may be wrong. Recent studies have shown that even the most popular VPNs actually leak your data. This is disconcerting news, I know. A VPN is supposed to keep your identity secure while keeping your internet traffic private. Now, the next important question is “Why?”. First, let’s get to the core of the problem. What type of data do VPNs actually leak? It’s a little-known fact among everyday folk that Internet domains are either IPv4 or IPv6. These simply mean Internet Protocol version 4 or 6. You see, Internet Protocol is the communication system that provides an identification and location system for our computers and also routes Internet traffic. IPv4 was the fourth version of the Internet protocol and the first version used in production in the ARPANET way back in 1983. It uses a 32-bit code which consists of four sets of three digits. IPv4 still routes most Internet traffic even today. On the other hand, IPv6 is the most recent version of the Internet Protocol and uses a 128-bit address consisting of eight sets of four characters. It was developed as the solution to the long-anticipated problem of IPv4 address exhaustion and was supposed to replace IPv4. IPv6 became an Internet standard 1 year ago on 14 July 2017. This meant that any change to the routing table, whether intentional or otherwise, could result in the traffic “escaping” the tunnel and being leaked. This may be due to the fact that most VPNs have yet to implement IPv6 support because of the difficulty of the transition process. Let’s take a step back for a moment to take a closer look at the dangers this may cause: IPv6 and DNS hijacking. It’s a no-brainer that a leaky VPN is a serious matter. After all, we use VPNs to hide our identity and our internet traffic in the first place. 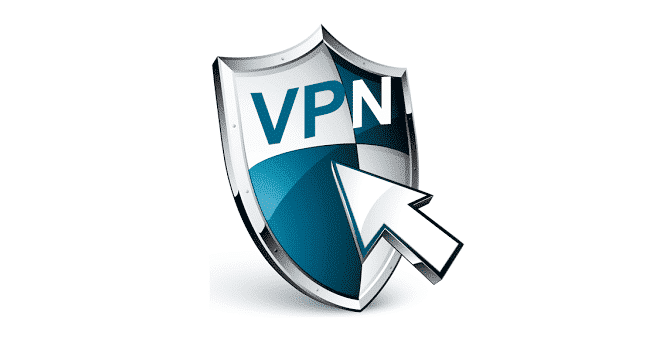 A VPN that can’t even do that is like having a parachute with holes- basically useless and very dangerous. DNS hijacking, though, is a whole different matter. This type of attack is potentially disastrous if you run a website. Firstly, just so we’re on the same page, DNS stands for Domain Name System. It’s like an online directory of domain names. Every time you search for something on the web, your browser makes a query that it courses through your ISP. Your ISP then runs this query through the system. Here, your browser then looks through each “phonebook” which directs it to the next one until you get to the right address. DNS hijacking exploits this system by going upstream and placing false entries that divert all traffic away from your website. Not only does your site traffic dry up eventually but it could also lead to malware being distributed en masse by these hackers- and we all know how disastrous malware can be. Going back to the VPNs that leak user data, it becomes even scarier because the study included VPNs that were at the top of their game- and found that they were vulnerable to both IPv6 leaks and DNS hijacking. How do you find out if your VPN is leaking? Answer: Test it for yourself. Check your IP prior to testing. This is as easy as googling “what’s my IP”. The result will then show you your current IP. Next, turn on your VPN. Once it’s on, go to IPLeak. The site automatically runs its tests. If you find that your current IP differs from the IP shown on the tests (while your VPN is active), it means that your VPN is not leaking your DNS info. Just to be sure, go to DNSLeakTest and select “extended test” (first with your VPN turned off and again with it turned on). If the results of the second test (VPN on) show any servers that your VPN does not provide, it means that your VPN has a DNS leak. IPLeak is usually enough to determine if your VPN is suffering DNS leaks but DNSLeakTest has been known to detect leaks that IPLeak may have missed. So, not even (most of) the popular VPNs are safe from IPv6 leaks and DNS hijacking. Does this mean that all VPNs leak your data? While IPv6 leaks may be a problem to most VPNs because of the difficulty of the transition process, there are some VPNs currently on the market that have stayed one step ahead and made the difficult (and expensive) jump to IPv6 support. One VPN that made this jump is CyberGhost. The company built their latest version to support IPv6 which means all the features their users enjoyed before are carried over even if those same users transition from IPv4 to IPv6. This VPN is as secure as VPNs get, is pretty easy to use, and (surprisingly) affordable to boot! But, hey, don’t just take my word for it. Check out this CyberGhost review and see for yourself.